Paris Jackson's Interview With Ellen on Ellen montrer December 13th 2011 (HQ Without Tag) SURPRISE!!. Paris Jackson's Interview With Ellen on Ellen montrer December 13th 2011 (HQ Without Tag). HD Wallpaper and background images in the Paris Jackson club. This Paris Jackson photo contains brasserie and salle de dessin. There might also be table à dinner, table à dîner, bistro, salon, séjour, chambre à l'avant, salle, and salle de devant. 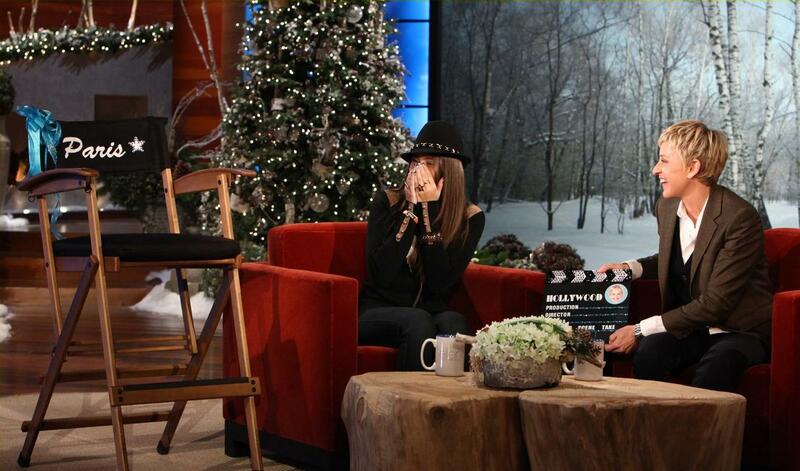 Given to Paris as a gift to commemorate her foray into acting, Ellen gave her a chair and one of those moviee things.